I am not the genius here, my Patriotic Pallet is a copycat version of my friend Amanda of Mommyiscoocoo.com, you can see her awesome pallet that inspired me HERE. The moment I saw it I just had to have one for myself! 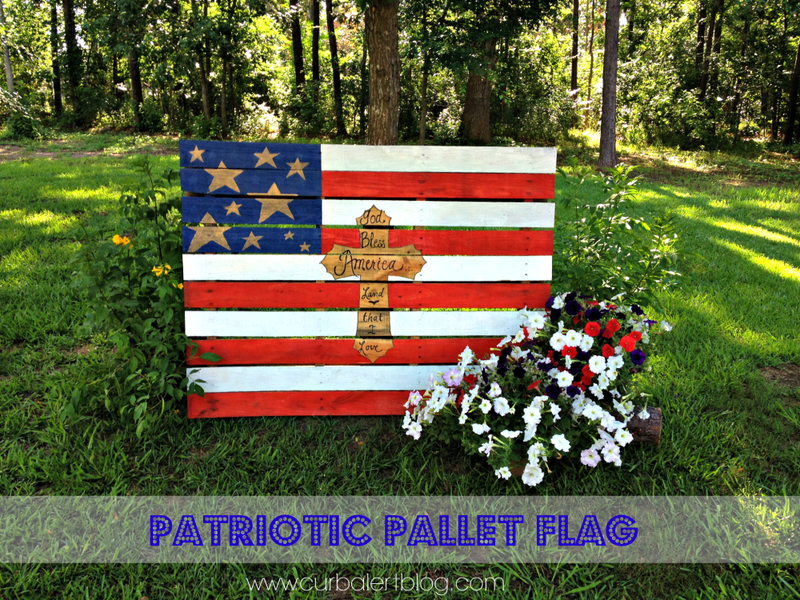 Not sure where to find Free Pallets? 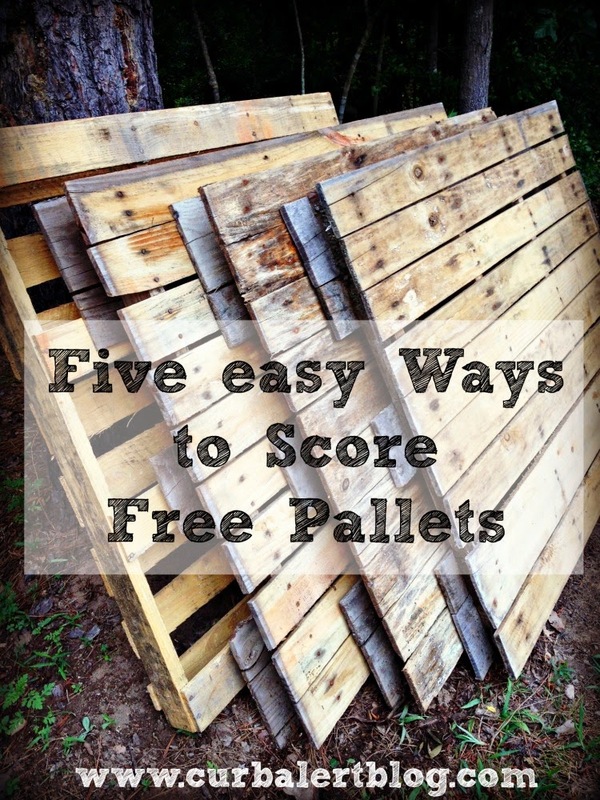 Check out my post on How to Score Free Pallets Here! 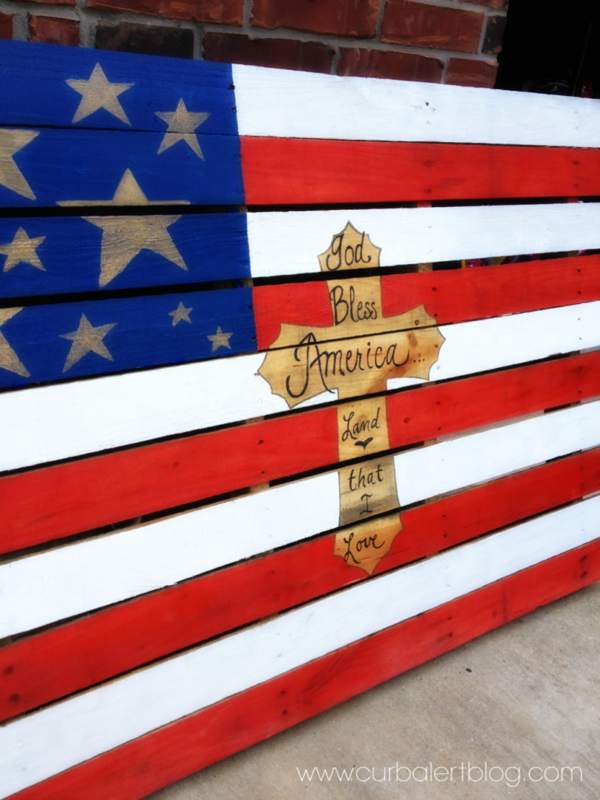 For more great pallet ideas you can visit my Pinterest page Pallet Ideas HERE. 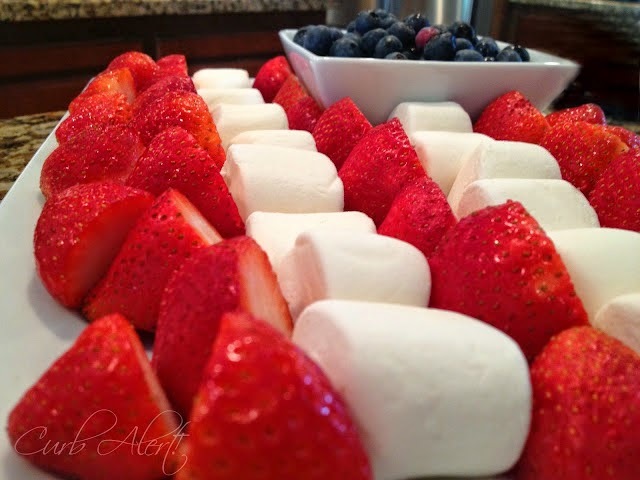 Now It’s summer time! – How did that happen!?! 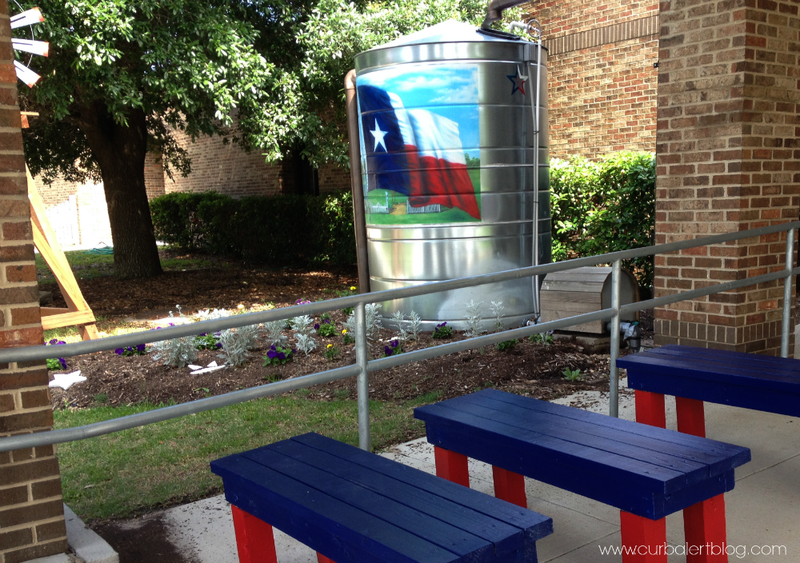 I am already feeling in the Patriotic mood! 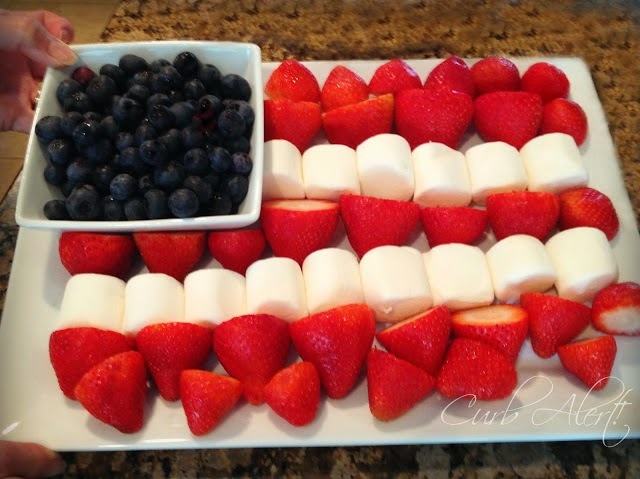 It’s never too early for some Patriotic Flag Dessert! 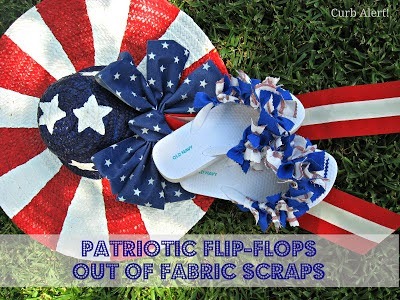 Oh, and where are those cute DIY Patriotic Flip Flops? Next Article Welcome to Our Woods! Gorgeous, Gorgeous! 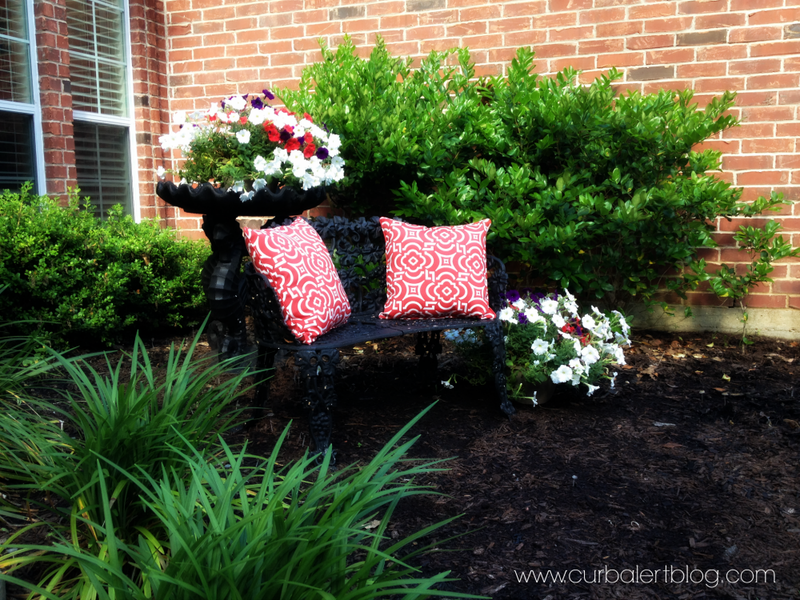 Love this project, Tami! 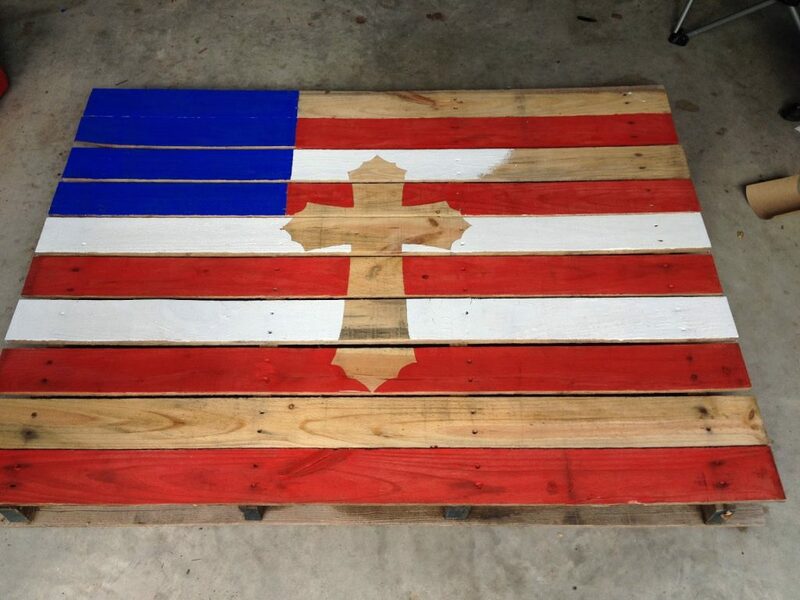 THis is the cutest pallet idea! 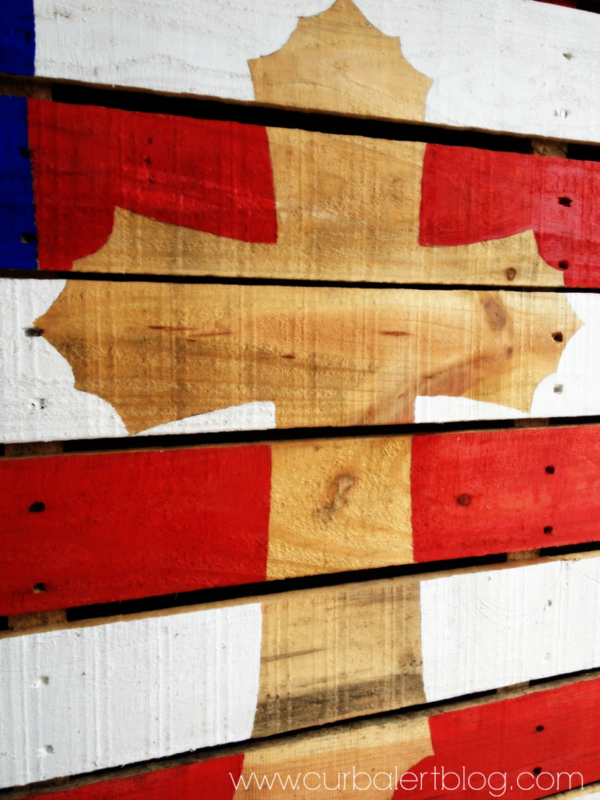 I love love the cross in the flag. 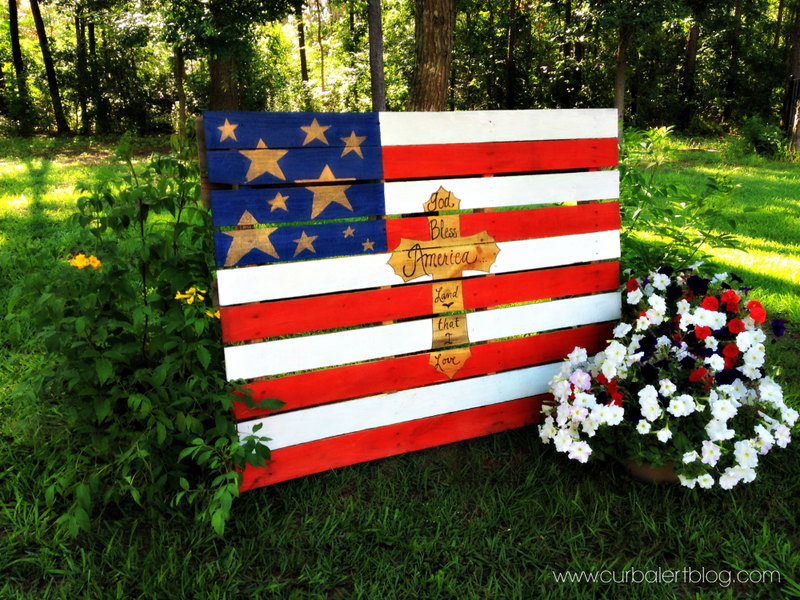 Now, Tami, this is one of the prettiest pallet project I've seen. This is beautiful! 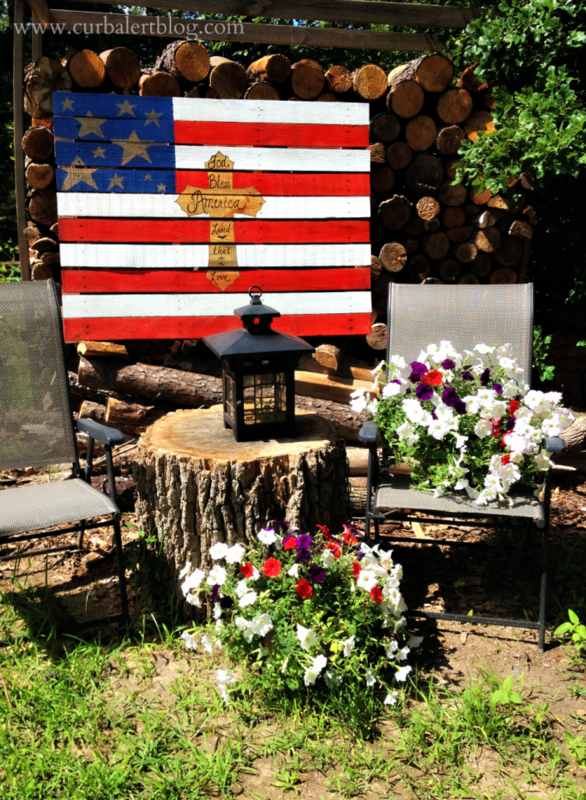 Love it Tami!! And of course I love your bench you just completed as well.